This page is just to showcase a new product. 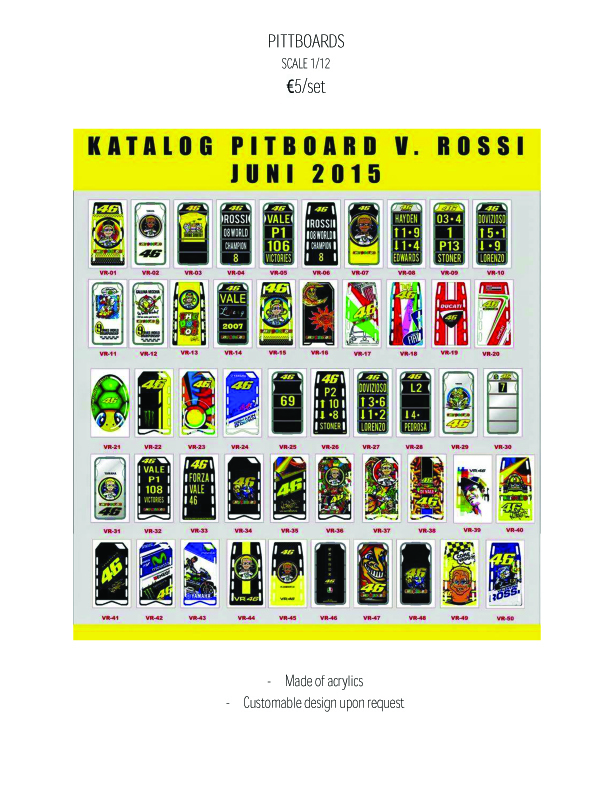 EFworks has produced some interesting items, for MotoGP fans. First item of interest are the various wheels and tires in Tire warmers, in 1:12 scale. They arrive completely painted and decaled, you just need to fit them to you model. 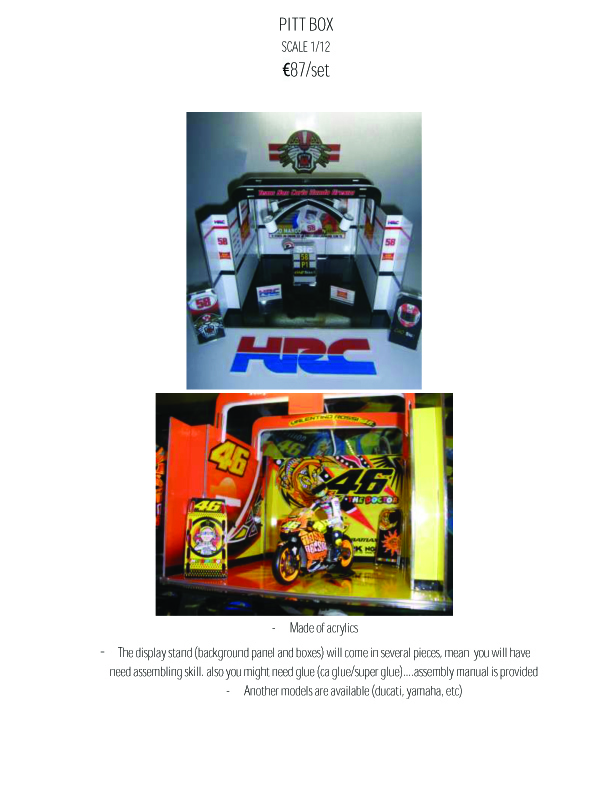 They have been produced to fit Tamiya kits and also Minichamps. Diorama scenes offered you can present your kit in many ways. For their BIG item they produce some 1:8 scale rider suits dioramas. Some assembly is required for the box and stands, these will be quite impressive displayed everything comes painted and decaled. EF works does offer customized items to suit your needs so if you have any questions or orders please email us at orders@macsmodeling.com and put EFworks in the subject line. These items are listed on the "Pre-Order" page. Links to previous Showcase items. AZMP M23 1220 Front brake ducts for 1976 1:12 M23.